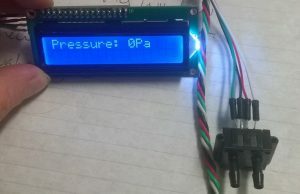 We had an interesting problem pass across the desk recently, which was the measurement and visualization of differential pressure in an operating theater. 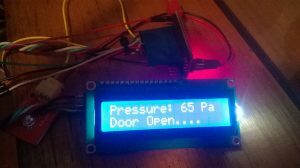 The device needs to alert occupants to any absence of pressure differential when doors are closed, but not alarm when the doors are open (as there is no differential obviously). This is itself is not overly complex, but the requirements of the request was that it provided a “web based” dashboard that could be used from anywhere in the department. We suggested our client engage their BMS contractor, which they did but they were unable to provide a digital system at an appropriate price with a page that could transmit to a segment of an intra-net only, but not require a log-on to view. Never ones to shy away from a problem, we set to work to assist. Our role in all this was to make the sensor, we can’t wait to see what the installation looks like when its finished.